PlateJoy helps you take the pressure off day by day menu planning so you don’t age ten years over the course of a week. Cooking dinner every evening can sometimes be time-consuming and stressful, especially if there are varying taste palates. 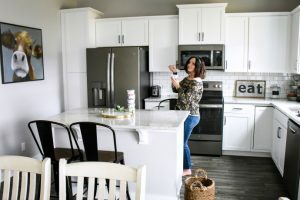 For most of us busy moms, cooking dinner is sometimes the last thing on our minds after a long, busy and frustrating day with work and chasing around our children. There is always our tried and true favorite standby recipes that we can always rely on, but even those can get old after awhile. 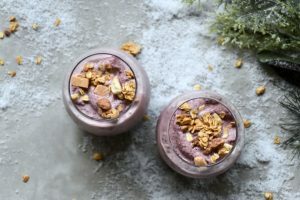 Some of the “new” recipes that we’re wanting to try to require a laundry list of ingredients that are usually expensive or not commonly available at the grocery store, and quite frankly, and how does anyone have time for that? PlateJoy helps you take the pressure off day by day menu planning so you don’t age ten years over the course of a week. They have an exceptional menu planning service that offers a weekly menu plan and recipes that cater to your dietary needs, whether you’re following a Whole30, gluten-free, low carb, or vegetarian diet. They’ll even customize a meal plan for those who are pregnant or nursing. Their mission is to help individuals, couples, and families save time and money with their meal planning service. 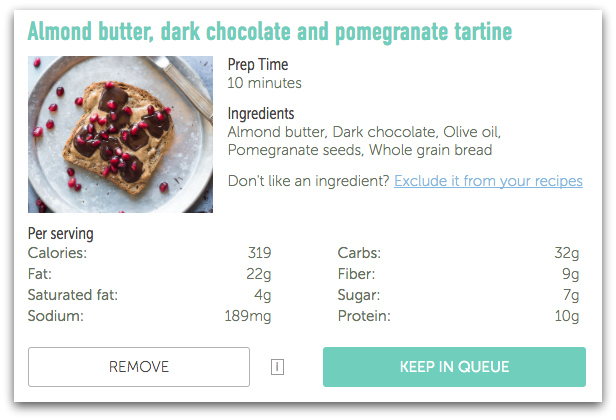 They set themselves apart from other meal planning services with an innovative personalization quiz, digital pantry, and an algorithm system that reduces waste by minimizing the number of ingredients on your grocery list. In fact, they’ve won the approval from Vanity Fair, SELF, and The New York Times! Each recipe provides nutritional information as well as prep time. Don’t like something? You’re given the option of removing a recipe or an ingredient from a recipe. 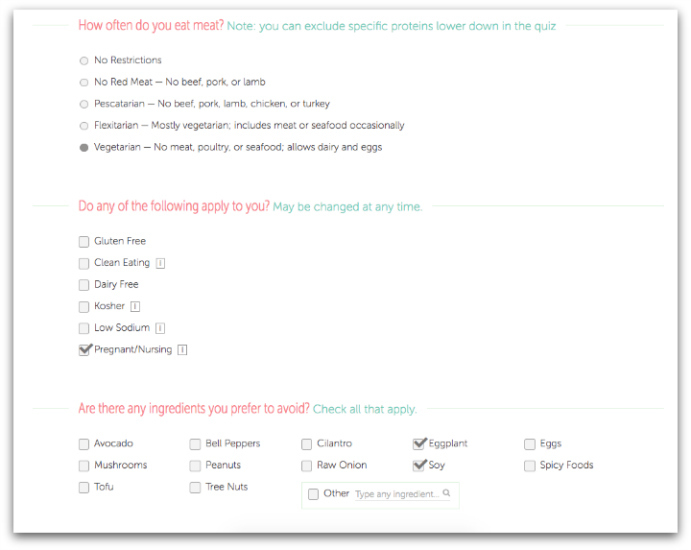 Fill out a 3-minute personalization lifestyle quiz to help them design a meal plan customized to your unique preferences. They’ll organize the ingredients you’ll need for a time-saving shopping list for printing or easy phone access. 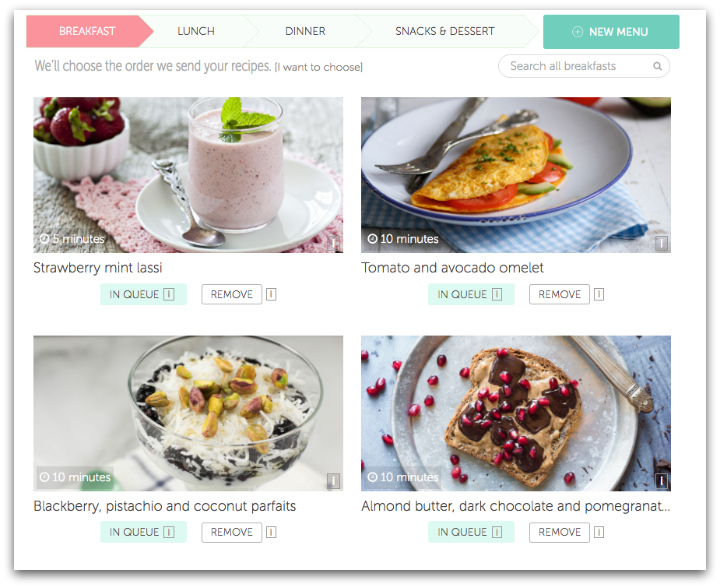 All recipes are personalized to fit your time constraints and free of ingredients you avoid. Enjoy fresh, delicious meals every week to help you reach your goals without needing to plan ahead. PlateJoy’s custom meal planning service is $69 for a 6-month membership or $99 for a one-year membership. Each membership offers unlimited custom meal plans. You can sign-up for a 10-day trial membership via this link. This post is in partnership with PlateJoy. This sounds like exactly what I Need in my life. I am all for anything that makes my life easier!!! What a wonderful service. I always like meal planning, but some weeks I just get so frustrated by it and don’t know what to make, so this seems like it would be a great option! I love that they have an option for pregnant/nursing moms! I haven’t seen that before on a meal planning service. Very cool! That is so perfect for me! I have such a hectic schedule, PlateJoy could really help me. This could be really great for me. 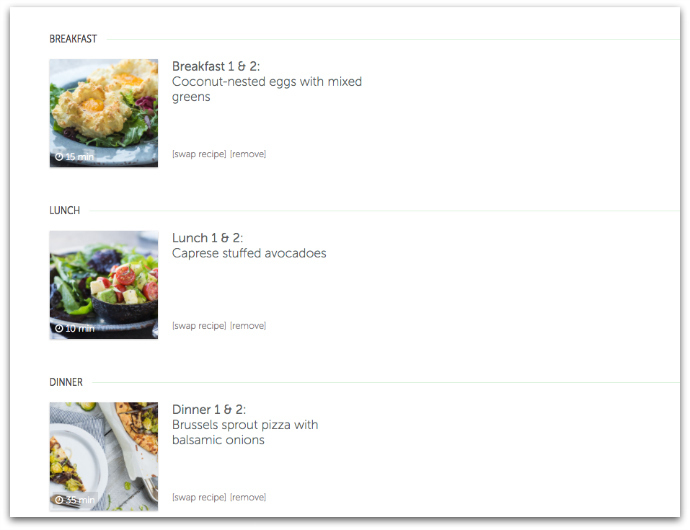 I love the idea of making a custom meal plan, and since it’s just me, it would make life much simpler. Ok, love this concept immensely! Especially step 2 and step 4! And, $69 for a 6 month membership is a great deal! I would be curious to figure out if this worked for me. I wonder if I would stick to it or if it would be a waste. I’ve never heard of anything like this before. What a great concept, and sure to be super helpful to a lot of people. This sounds like a really great idea. I could say for me though, I would follow it for a few days and then forget all about it because I get bored of things really quickly. But for more strategic people who like to plan every detail, perfect. This sounds like great service for those not used to meal planning. Looking at your pics though it looks like they don’t do vegan menus. Ah well. This would definitely make life easier and I do love easier. I think many would agree with me. Well, isn’t this convenient! 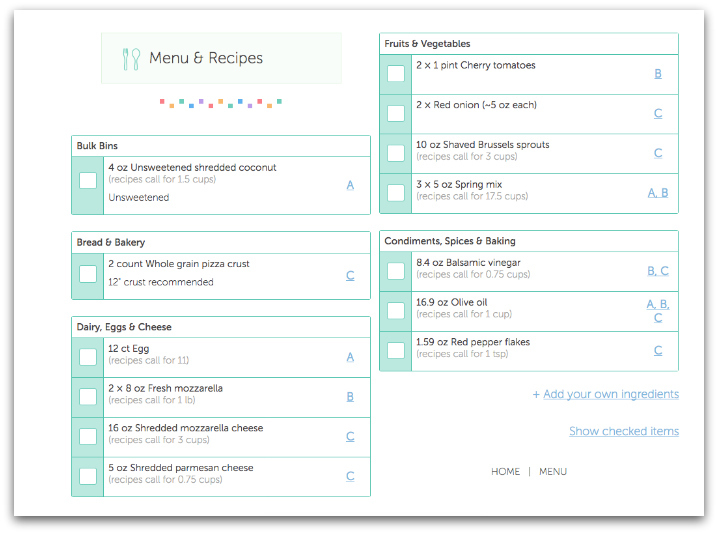 I love that it helps you plan meals according to your specifications. It’s not easy to meal plan when you have kids that have different requirements when it comes to the kind of food that they eat! I love this service! Amanda Love recently posted..5 Reasons to Book a Disney Cruise Today! No planning ahead? I am in! This sounds great and like something a busy family needs! Thanks! meal plans sounds great! i think my family needs this since we are all busy! perfect! This sounds really awesome. So many people need easier, quicker and good. Its amazing they have an option for nursing moms this is right up my alley! This looks like a really nice system. I’m always looking for new meals to cook. I easily get stuck in a rut and cook the same meals over and over because I know how to cook them. But then my family gets tired of them, haha. I really need to look into this service. Often times, my family gets tired of eating the same ole things for dinner. This would give me new meal ideas and hope to prepare it. My schedule is mildly medium hectic, but I would love to take one more thing off of my to-do list. What a fun feature to have! Love the idea of them creating your meals and all that goes along with that! I heard about PlateJoy from a friend and it sounded like a great plan. I can use all the help I can get with sticking to my healthy meal plan! Oh, wow, this is fascinating! I love the idea of having custom meal plans just for our family’s needs. This is a great idea! how nice is this, get me on board! I’m not a fan of ALWAYS coming up with what to eat, so I’ll definitely be checking this out! I love meal planning ideas! This looks like a great system to help me get inspired to put together a good dinner! I definitely would love to try out Platejoy. It seems reasonable priced to customize meal plans. This is helpful to me. very nice idea!! this is exactlty what i need! i agree that this will surely makes my life more easier! I definitely need to do this. 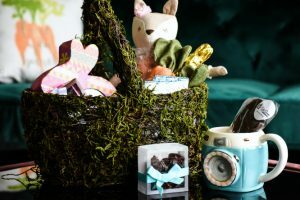 I totally struggle with meal planning, and now that isn’t really an option with three hungry littles that I need to keep up with! Can’t wait to check it out! $69 actually seems very reasonable! If I take into account the amount of time I spend doing it, it’s actually a steal! I have heard of PlateJoy. This seems like it would be very helpful to people who are extremely busy but need help with their meal plans for the week. I need to be a bit better at meal planning and all these options look like a simple way to do it! Looks like it is easy to do. I need this in my life! My biggest struggle is actually sitting down to pull out new recipes for a shopping list. Problem solved! I have always wondered about Platejoy. It really sounds like a great service! This is SO interesting! I want to try it. I hate planning meals, especially with kids who are picky! This looks awesome. This sounds so helpful! I need an easy way to do meal planning, thanks for sharing. This is a totally awesome service! I love that it takes all of the work out of it for you!